So the half term’s nearly upon us! Here’s a few Isle of Wight treats (other than tree climbing) that are suitable for all the family. 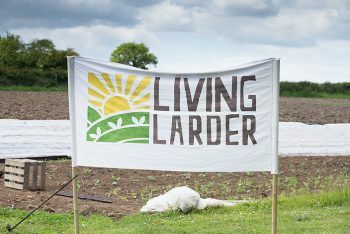 We regularly get a veg box from Will and Aimee at Living Larder in Apse Heath. Once again they’re opening their gates for Open Farm Sunday. We went in 2015 and had loads of fun with all the different activities; guided tours, a beehive demonstration, pond dipping and seed planting . Plus there’s delicious food from the most famous chef on the Isle of Wight – Robert Thompson. It’s free to enter, but there is a charge for food and drink. Totally recommended for a fun family farming adventure. More info here. Famed throughout the land, Isle of Wight tomatoes are the best. We can’t get enough of the oak smoked tomatoes from The Tomato Stall and have everything crossed that they’re on offer on Open Farm Sunday! The nursery is open for visitors to explore and you can have a glasshouse tour, sample some lovely tomatoes and enjoy talks throughout the day. There are refreshments on sale, with proceeds going to a local church. For more information see here. Briddlesford is one of our favourite places for a cup of tea. Plus the farmers are in a band called together called The Herd. What’s not to like?! This is an authentic working dairy farm and we can verify that their milk is delicious. There’s a free farm tour on the 5th June but you need to book. More info here. Here’s one for everyone who likes to be organised. Get ready for Father’s Day (June 19th) at Chessell Pottery Barns. Kids can make their dad a hero mug all week during half term (30 May to 3 June) and there’s a discount on 1 pint mugs. Chessell Pottery is always a great, arty way to spend some time, particularly if the half term weather is less than stellar. Plus we suggest a visit the café for delicious cake on offer. All this, and have your Father’s Day gift ready! More info is here. We love a good bike ride. 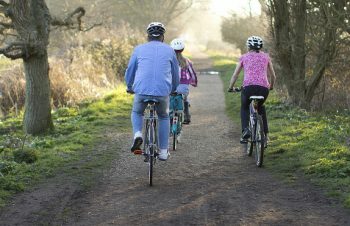 This social bike ride sounds especially lovely as it goes along the old railway path from Sandown to Newport which is always a great place to spot nature including the elusive Red Squirrel. Plus cups of tea are involved. Win! Taking place on 1 June from 10am and starts at Sandown sports centre car park (meeting point PO36 9JH). The course is easy-going with no age restrictions – fingers crossed for sun! More details here. PS did you also know you can rent electric bikes on the Isle of Wight…it’s true. Head to Newtown National Trust Nature Reserve on June 2nd to do all the counting and recording of wildlife you possibly can! Work alongside wildlife experts in a race against time to discover and record as many animals and plants as possible. All discoveries will be recorded and then submitted to the local wildlife record centre to help understand how wildlife is changing and how best to protect it. There’s other free activities on offer too. Bioblitz is a brilliant way to experience our wonderful Isle of Wight Wildlife. An evening of moths and music with the excellent Arc and Eccleston George at Browns, Sandown. We’ve still yet to make it to the Campfire Sessions but we hear they’re excellent. If you go, let us know. This is a family friendly, evening event suitable for all. From 6.30 onwards. More info here.